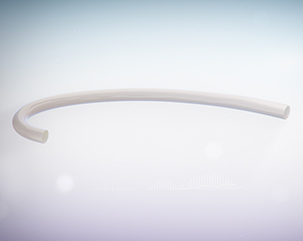 Humacyte’s technology is designed to create novel, bioengineered human acellular vessels (HAVs) that have the potential to significantly improve treatment outcomes. specifications for vascular and non-vascular surgery applications. Located in our state-of-the-art facility, our technology platform isolates and grows stable, immediately available investigational HAV replacements which, if approved, could be tailored to pre-designed clinical and commercial specifications for vascular and non-vascular surgery applications. By growing these investigational vessels in vitro from banked vascular smooth muscle cells and then decellularizing the final HAV product, we may be able to significantly increase the durability of the vascular access and reduce the risk of infection. The result? An end product that can be ready on a hospital storage shelf for any patient — at any time — in need of a new or replacement vascular access. investigational HAVs in a scalable, cost-effective manner. In our ongoing research, we see vast opportunities for products with life-saving potential. HAVs: breakthrough in the world of vascular access and tissue replacement. HAVs are created from donated human smooth muscle cells placed on a tubular scaffold made of biodegradable suture material to form a HAV. 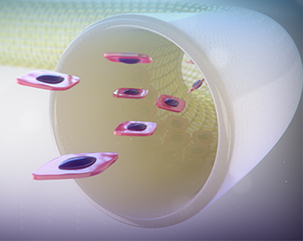 The tissue cells grow in vitro to form a biologic 3D scaffold matrix. 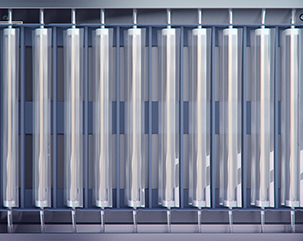 Cells on the scaffold generate collagen matrix during culture in a closed bioreactor system. Cells, which can trigger an immune response, are then removed from the HAV matrix. Once implanted, the HAV may be remodeled by the host (patient) to create a vascular structure more similar to native, adjacent vascular tissue. safety, and outcomes for patients. patients at the time of need. At Humacyte, we see endless potential for better patient outcomes. 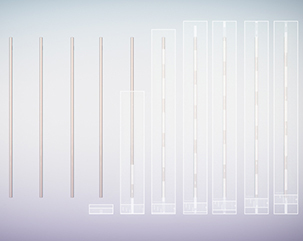 We anticipate a continued evolution of products for clinical needs. We have started a phase II clinical trial of HUMACYL as a bypass conduit in patients with peripheral arterial disease (PAD). This trial will assess the vessel’s performance in the arterial bypass position, and gauge usability and suitability for repairing peripheral human arterial blood vessels in patients with peripheral arterial disease (PAD) in the US. 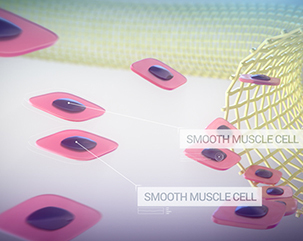 Utilizing recent funding from the National Institute of Health and the U.S. Department of Defense, especially to explore applications for bypass and reconstruction in patients with peripheral vascular trauma, Humacyte will begin clinical trials that focus on patients with vascular trauma (potentially civilians and soldiers) with penetrating wound injuries or peripheral blast trauma. We believe that our ongoing research and development may ultimately lead to additional groundbreaking applications of Humacyte’s technology, including vascular reconstruction and Coronary Artery Bypass Grafting (CABG).